Are you a huge fan of motorcycle games? 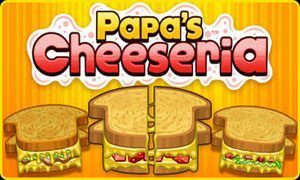 Do you want to taste the fun of cool math games? What if I say you can enjoy two elements at the same time? In the following, CB1.org introduces best 5 cool math moto games online which help you stimulate your thinking skills. Considered as one of the best cool math games of all time, Moto X3M comes with 22 awesome levels to challenge its players. As the game started, you need to pick a bike, put the helmet on, and let?s race. Your mission is to reach the finish line within the limited time. However, it?s not that so simple ? each level features plenty of obstacles and tons of off-road circuits. Try your best to do as many beautiful jumps as you can and complete all the courses perfectly. Be careful or you will fall off the vehicle at any time. The controls are simple: use arrow keys for the acceleration and deceleration, and doing your tilts as well. You will feel a huge amount of enjoyment when playing Moto X3M. This is a game of MadPuffers launched in May 2015. It is now available as both the iOS and Android app. If you really enjoy this original, then don?t miss out its other 3 amazing sequels: Moto X3M 2, Moto X3M3, and Moto X3M 4 Winter. Check out a great 3D running game titled Bike Blast! The objective here is quite simple ? players just need to navigate the BMX through crowded streets. 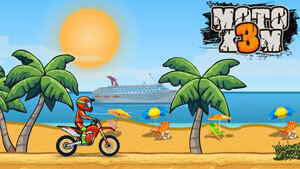 If you want to get a high score, then you must perform incredible jumps and crazy stunts while riding. Like any endless runner, you have to dodge over obstacles and traffic for survive; not yet, this game features full of guard rails and paragliding, so you should do some tricks to avoid. Enhance your rank on the Leaderboard by accomplishing daily challenges. Try to earn rewards so that you can unlock new riders and cooler bikes. Purchase items that can improve your riding ability. Steer the vehicle with WASD or arrow keys and build up the power using the spacebar. What is the highest score you can achieve? Time to explore Ninja World this time, players! 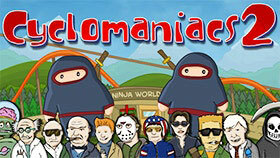 The creators of the Cyclomaniacs series come back with a deadly theme park. In this second installment, you need to finish different races under certain environments in order to unlock new characters and items. Pack yourself with advanced abilities to gain access to most areas. Use WASD or arrow keys to control yourself and balance speed with stability during all the races. While riding, performing some incredible tricks in the air is a must. At the same time, you have to make neat, beautiful landing. Don?t lose your focus or you’ll wipe out and get humored by your opponents. You cannot upgrade your vehicle to a racing machine unless winning all the races in the Cyclomaniacs world. The hit cycling game challenges you through 39 new tracks featuring 50 characters to unlock. An unexpected storyline and lots of mini games are also waiting for your exploration. The madness is back in the sequel! As always, all in-game crazy riders are up to a crazy race. Do you want to join them on their crazy rides? In Mad Men Racing 2, there are two primary quests ? racing against crazy cars and showing off some amazing stunts. Once you enter the race with your unique driver, all you need to do are to perform awesome moves, collect scattered coins, and try to win the race. What is special in this soap race style driving game? Each vehicle has its own physics, specifications, and handling. You should earn money to upgrade them or maybe you can purchase new cars available in the garage. During the race, show off your stunts and use weapons to get nitro. Unlock new levels and trophies and go crazy in this awesome racing game! 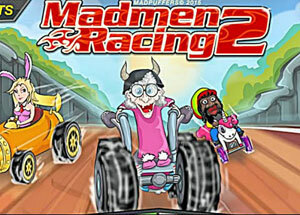 Mad Men Racing 2 is one of the many great flash games developed by MadPuffers. Have you tried any doodle bike game before? If the answer is no, then Line Biker is perfect for your very first experience. In this awesome entry, you have the chance to perform as many crazy stunts and tricks as you want on tracks completely drawn by pen. The challenge is – the hand-drawn tracks are full of quirky peaks and landing areas. Show off your most radical moves while riding a bike. Collect crystals along the way. Perform awesome flips and make a perfect landing for the highest score. Make sure not to hit the floor with your head or game over. 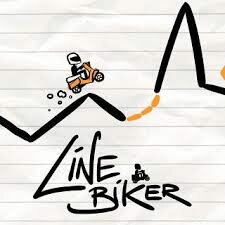 Line Biker offers over 40 challenging levels and an endless mode to discover. This is a game of OrangeGames released in June 2018. Do you agree with the CB1.org list in this article? All the titles above are most played. In case you want to experience something more, then learn more about top 5 cool math driving games. If you have any question to ask, leave in the comment box.